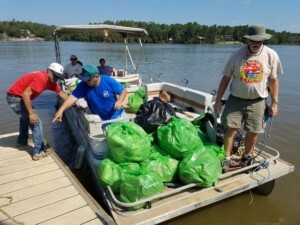 Lake Wateree Riversweep Nets 4,225 Pounds of Trash! 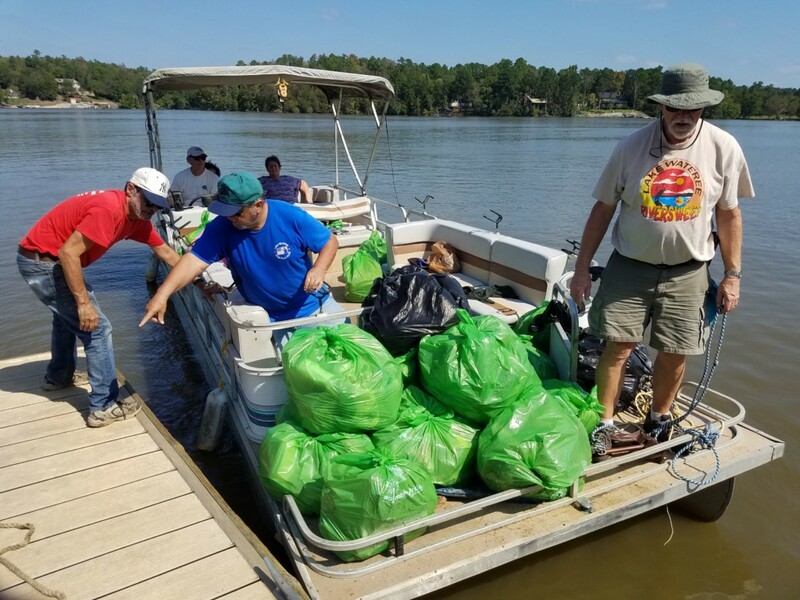 On the beautiful morning of Saturday, September 22nd, Lake Wateree was swept clean of 4,225 pounds of trash by 70 people. The trash total includes 142 bags of trash and 10 tires. 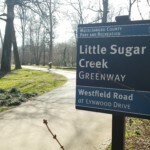 Wateree Creek, June Creek and Clearwater Cove (White Oak) access points served as the three launch sites. Efforts were once again rewarded with a post-cleanup cookout at Club Clyde, where 25 raffle prizes were also distributed. There had been concern that Hurricane Florence’s heavy rain and flooding would wash out this summer’s Riversweep, but the Catawba-Wateree River basin dodged the heaviest of rains, and Lake Wateree was at 98′ the day of the cleanup. 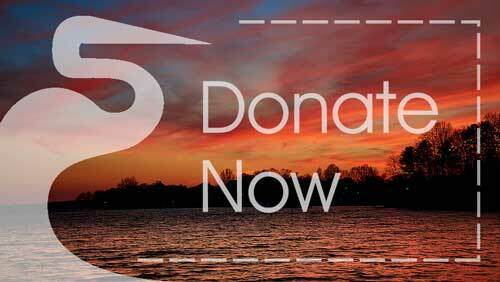 The trash total is much less than in previous years, but every year, volunteers get not only new trash but legacy trash that can be decades old and is becoming increasingly rare. 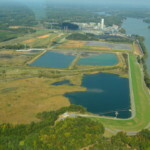 Limited high-water events also meant less trash flowed down to the final of 11 reservoirs in the Catawba-Wateree River basin. Thank you to sponsors who made the event and after-party possible!